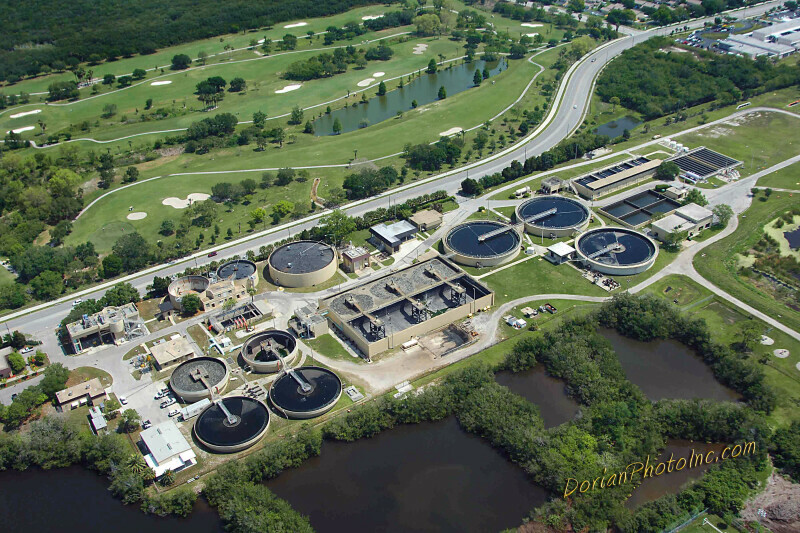 Aerial photograph of the Northeast Water Reclamation Plant in St. Petersburg, Florida as seen from the southwest. To the north of the facility is the 180-acre Mangrove Bay Golf Course, which uses reclaimed water from the facility. Credit: Photograph courtesy of the Northeast Water Reclamation Plant.